First off, that particular bit of the story was kind of buggy, as I found out when I got both a letter and a conversation option to talk about something that never actually happened. Assassins, what? Fortunately they had shown up in my pet tank's story so he could clarify for me what that was all about, as they had never even come up in my own little alternate universe. More than anything though I was just kind of disappointed by the lackluster way in which the whole thing went down. I hunted down this Jedi padawan who was nothing special except for being related to a ghost, tricked her... and then she kind of decided to follow me around out of shame about having fallen for my trick. That's... not very credible or cool? It kind of set me off on a rant about apprentices and padawans in general, because I didn't really like the way I got any of them, even if none of the others were quite as bad as the inquisitor's. The Jedi are better in the motivation department (after all, Jedi padawans don't generally lack in motivation for following a Jedi master), but their stories are still kind of clumsy. I still don't know how exactly Kira became my knight's padawan for example. 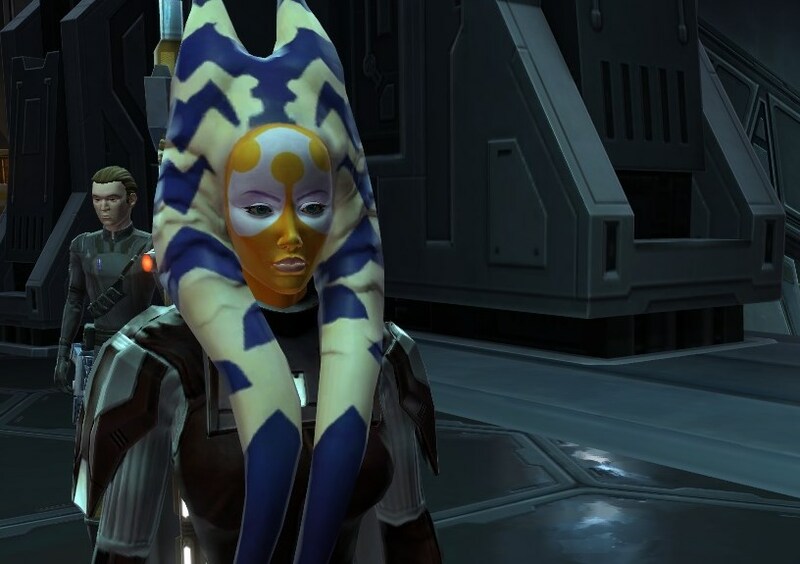 As far as I recall she was introduced as Master Kiwiik's padawan, assigned to help me with a specific mission, and then just kind of kept following me around until everyone automatically assumed that she was my padawan? Talk about awkward. Why are all the padawans/apprentices spunky but confused young women anyway? And why do they have to come to me under the most awkward circumstances possible? 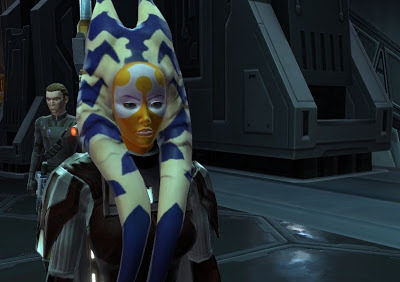 After everything I went through on Tython/Korriban, wouldn't it have been much more satisfying to go back there and get to see it all again from a master's point of view, bossing impressable young padawans around? I know I would've loved that at least. "You realise you do get to do that as an inquisitor?" says pet tank. "What? Really? You're not making this up?" As it turns out, he was right! Sort of, anyway. It wasn't that long after recruiting Ashara that my little Sorcerer got to visit the academy on Korriban to have a look at some more potential future apprentices. I didn't get to oversee their trials in detail, but I've already checked back on them one more time to see how it's going, and I expect that my next visit will actually result in my last companion, who incidentally also won't be a spunky but confused young woman for once (I know that much already). I suppose there is still hope for me getting an apprentice that won't bug me! See? I told you that you were going to shoot past me. I haven't done any of the Quest quests yet, since I bounced back to my Commando. Oh, and for what it's worth, Kira's old Master bequeathed her to your character when she went to Tatooine to defend the [item deleted]. It happened right at the end of the Coruscant questline, and I'll admit I almost missed it too. in my head-canon, my (male) SI is going to eventually romance Talos. The whole Kira thing makes more sense if your a dark side JK as you can let her master die in the quest where you go to rescue her on Tattooine, also as Redbeard stated she does get dumped on your lap if you go lightside at that point also. Lol, I don't dislike them in principle, I just think it's a shame that they are all the same (kind of).